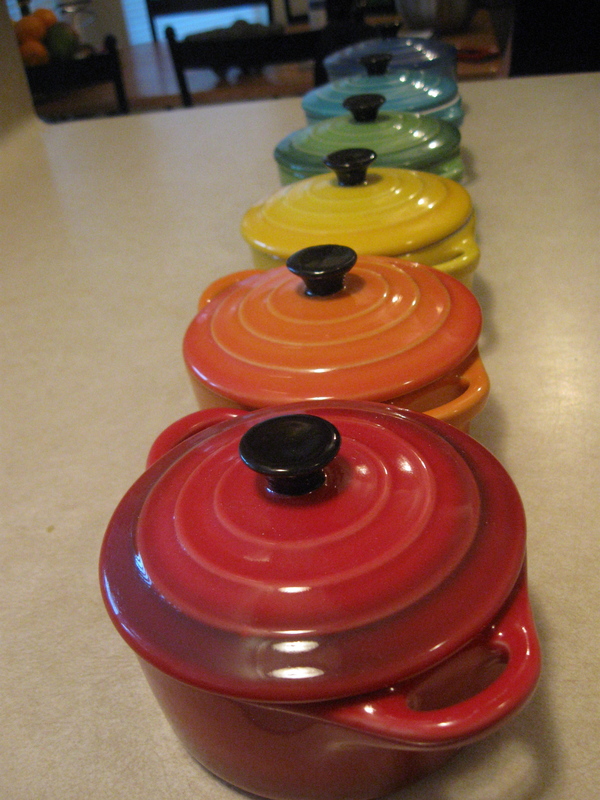 The name Dutch Lovin’ originates from my love for Dutch ovens. The Dutch oven is definitely my favorite cooking utensil and I utilize it for so many different things. On my way to the Chili cook-off hosted by Zestybeandog in February 2011, I was holding the Dutch oven and walking to the car. Someone turned to me and asked me to do something and I said, “Hold on, I have to get the Dutch lovin’ in the car.” I didn’t mean to say it, but I did. We both laughed and simultaneously said, “That should be the team name!” Team Dutch Lovin’ took first place that day, with Zestybeandog coming in second by only one point. I hope you enjoy what Dutch Lovin’ has to offer. Do y’all sell the little ramekins? No, I don’t. I found those at the HEB grocery store here in South Texas.